Director Scott Derrickson did a great job in visualising the multi-dimensions, but unfortunately it was not entirely original. Inception did it 6 years ago. Derrickson just multiplied it by 10. And with all that motion going on, the action choreography was a mess. 3D definitely did not help things on that end. Although the 3D was absolutely great to give the depth and feel of dimension(less) in certain moments, and that really helped to sell the premise. However, other than those scenes, 3D was not really useful. Screenplay was by Derrickson and C. Robert Cargill, and they definitely got the tone of the humour and paranormality right. Although I do suspect the key to selling the humour this time round was the undeniable Britishness deadpan comedic delivery by Cumberbatch, Swinton, Benedict Wong and Chiwitel Ejiofor. Unfortunately, what they did not get right was giving Mikkelsen a more solid motive. Or Ejiofor a more genuine emotional/character arc. And that climatic end. Go watch Doctor Who's Series 9, Episode 11: Heaven Sent. That is how it should be done. Smart, emotional and with a wallop! 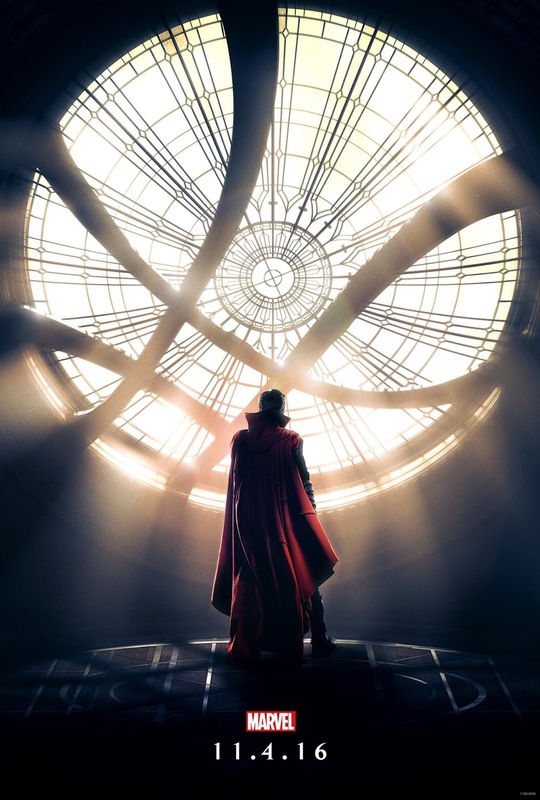 Cumberbatch brings a hint of mischievousness to his Doctor Strange, but he does sell the origin story from arrogant, but inwardly cowardly, neurosurgeon to saviour of lives, Master Doctor Strange (lol!). He is a different sort of Doctor Strange from the comics but Cumberbatch makes it his own. Swinton was a coup for MCU. Without her, I cannot imagine Marvel selling the role of The Ancient One. Swinton really is a class of her own and she imbued The Ancient One with so much wisdom but yet strength, mystery, tenderness and yes, humour. Swinton and Cumberbatch had great chemistry together and it was palpable. The film changes when they both share the screen together. Rachel McAdams was the standout and with recent breakout performances in Spotlight and Southpaw, and being the only saving grace of season 2 of True Detective, McAdams is on a roll. This film definitely showcased her comedic timing. She should consider that next and dip her toes back into rom-com for a bit. A good rom-com can also be Oscar potential. Mikkelsen. Wasted under all that make-up. At least it was less than Christopher Eccleston. Michael Giacchino scored the film and there were moments, especially in the first act, that you think Marvel has finally gotten it right (see: The Marvel Symphonic Universe if you don't know what I mean), but eventually it just fell back into its usual MSU. Similarly, nothing exciting from cinematographer Ben Davis except for some great landscaping shots of Kathmandu. IMAX was not really necessary. Mid-credits scene makes me really excited for Thor: Ragnorak. Post-credits scene tells me I can wait for Doctor Strange 2.